Let’s face it, you never need just a computer, and that’s what the designers of this MacBook EDC Kit ($60) had in mind. 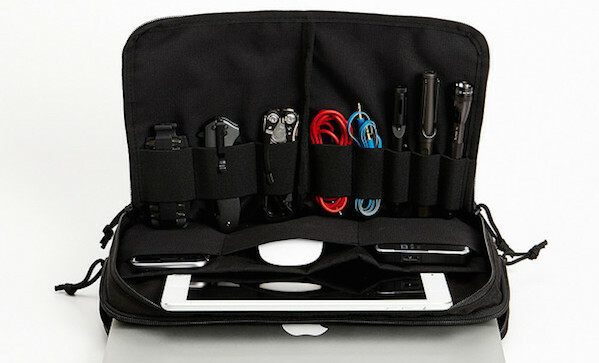 In addition to your 13” MacBook (they make bags for other models too), your MacBook EDC Kit has pockets for an iPad, a mouse, notepads, and iPhone. There’s some molle webbing in the front for stuff, and loops on the inside for yet more stuff. The main compartment is lined with soft microfibre and has two layers of padding, and the whole thing is rounded out with a shoulder strap.